This is a chance for a sing along night! 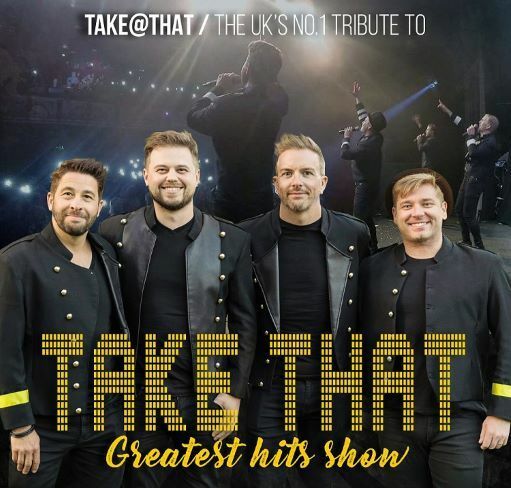 All the best Take That songs performed by this increasingly popular local Tribute Act. You'll need a little 'Patience' as they're here in May 19, but 'Get ready for it' because we're sure these guys will 'Shine', and we 'Pray' they don't make you 'Cry' too much. Doors open at 7pm, arrive and settle in ready for the nights entertainment. The Live Music will start between 8pm and 8.30pm, concluding between 10.30pm and 11pm, with last orders called at 11.30pm.